Beloved, affable, and caring husband, father, brother, and uncle passed away on February 1, 2019. 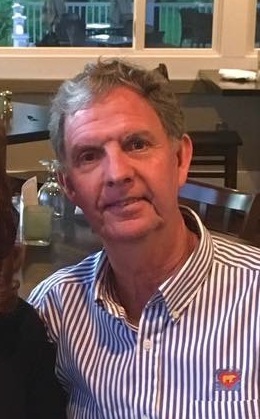 He is survived by his wife, Julie, whom he shared 30 years of love and friendship; their children, Spencer Alton of Marietta, GA., Nicole Ellen of Jacksonville, FL., and Bradley Francis of Jupiter. Also survived by brothers and sister, Jerry and Earletta "Harv" Swift of Friendship, NY., Judy and Victor "Buzz" Roofner of Spring Hill, Fl., Mary and Connie Emery of Bolivar, NY; and in-laws, Dennis and Nedra Connolly of Jupiter, Mark Connolly of South Portland, ME., Lee and the late Jim Connolly of Leominster, MA., Jeanne and Paul Marchant of Georgetown, TX., Cathy and Mike Mountford of Winter Haven Fl., Mary and Paul Saucier of Portland, ME., and many adored nieces and nephews. Born September 14, 1955, in Cuba, NY., to the late Alton and Vivian Emery, Bruce grew up in Friendship/Bolivar, NY. He attended Friendship Central School and was a multi-sport star athlete in baseball, basketball, and soccer. Bruce moved to South Florida in 1986 and started working at St. Mary's Medical Center, where he met Julie. Bruce was a loving and devoted dad. He was supportive and involved in his children's lives; his family was the most important thing to him. He spent all of his free time at ball fields and sports complexes, where he passionately coached and cheered on not only his children, but also his friend's children. Bruce was an avid sports fan and devoted Buffalo Bills and New York Yankees fan. He used his love of sports to bring people of all backgrounds together and occasionally shared a beer in the process. He was kind, funny, smart, and a loving man who will be greatly missed by all who loved him.